This handout picture released by the national disaster mitigation agency shows the flooding that killed at least 11 people in Pacitan, East Java province, Indonesia, Nov. 28, 2017. A tropical cyclone killed 19 people on the Indonesian island of Java, officials said on Wednesday (local time), with most of the victims caught under a landslide. Video footage showed rivers overflowing and roads and villages submerged in brown water after the storm struck on Tuesday. 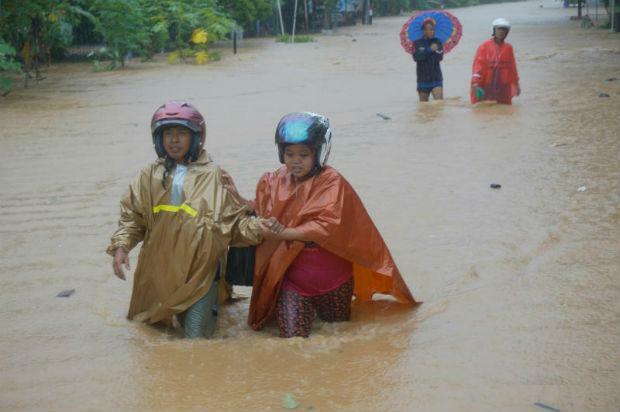 "Nineteen people have died, thousands of homes have been flooded and other damage has been caused," Sutopo Purwo Nugroho, spokesman for the Disaster Mitigation Agency, said on Twitter. Two nearby airports were briefly closed but had since reopened. Flights around Indonesia have been disrupted due to the eruption of a volcano on the neighboring holiday island of Bali to the east. A tropical cyclone churning off the southern coast of Indonesia's main island of Java has triggered landslides, floods, and tornadoes, leaving at least 19 people dead, an official said Wednesday. 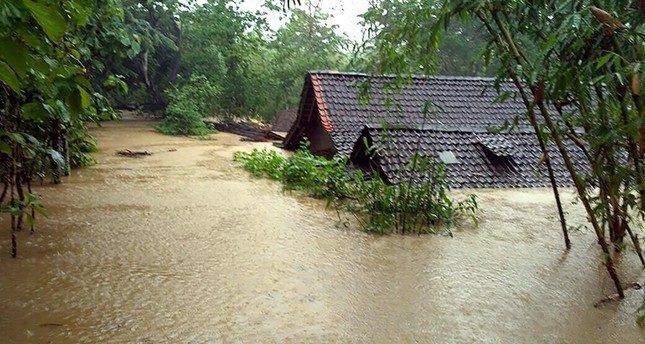 Fifteen of them died in landslides and the four others died in flooding caused by Tropical Cyclone Cempaka, according to National Disaster Mitigation Agency spokesman Sutopo Purwo Nugroho. He said overflowing rivers caused thousands of houses to flood, while thousands of hectares of farmland were inundated, causing huge economic losses. The cyclone arrived off Java's southern coast on Monday and is predicted to go away on Thursday, but the seeds of a new cyclone have now developed in the southern part of Sumatra Island.